And here it is the last day of the 30 posts for 30 days challenge for Australian Library blogs. 3. Most bloggers, blogged the personal as well as the professional, this blog tends only to the professional, which made/makes it harder and maybe less interesting for readers? Having just made a move of my own, I’ve been thinking a little about the logistics of moving a large collection of objects from one place to another. Have you ever had to move a library? Or even just a part of your collection? Whether or not you’ve done either, or have a move on the horizon, there are a number of things that you’ll need to consider. The key, I think, is all in the planning. Is the new space large enough to contain all of your material or furniture? Are there outdated materials that could be weeded from the collection? How will you move everything? Will you require professional assistance? How will you keep your clients up to date with what’s happening and make sure that the transition from one space to another goes as smoothly as possible? And, more importantly, how will you celebrate your successful move with your clients, old and new? The answers to these questions, as well as a few you may not yet have thought to ask, can be found in Catherine Dimenstein’s article “Executing a library move – a planned approach to moving your library,” which originally appeared in the January 2004 issue of Information Outlook. An article by 4 German scholars in the Journal of Information Technology asks and answers the question Online social networks: why we disclose. The article (I warn you it’s a bit turgid and talks more of methodology than results) finds unsurprisingly, that people share personal information because they receive social benefits from it after an examination of benefit to risk ratios. Inspired by rising privacy concerns, our study empirically identifies factors involved in self-disclosure on OSNs. We find that among the myriad benefits of OSN platforms, Convenience, Relationship Building and Enjoyment are significantly linked to information disclosure. We contribute to the ongoing research by showing that, although risk hinders self-disclosure, it is often offset by benefits and mitigated by trust and control beliefs. Our findings demonstrate that OSN members engage in a process of privacy calculus when deciding to disclose information. 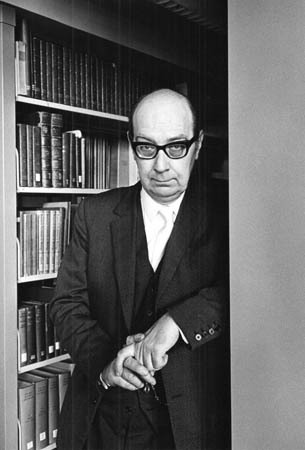 It is 25 years since the death of Philip Larkin, poet and librarian. They are celebrating over in Hull, where Larkin was University Librarian for 30 years. See this recent Observer/Guardian article for further Larkinalia. We are nearly at the end of the 30 days of blog posting challenge and we are flagging. 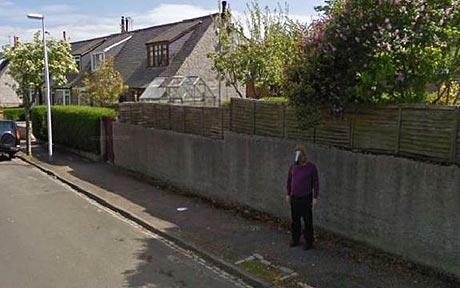 We missed the last days because some of us were moving house and some of us were frightened off the Interwebs by this image captured from Google Maps Street View in Scotland. We could point out however that the challenge was 30 posts in 30 days and we have actually done that, because, ta da, some days we posted more than once, yes, we did! We are also saying nothing more about football, Ever. And so we have a new Prime Minister, let us not forget so quickly that as Prime Minister Kevin Rudd publicly supported libraries on a number of occasions as well as child literacy. In his parting speech he talked of the building programme which has created hundreds of new or refurbished school libraries across Australia. The programme may have been managed by our new Prime Minister Julia Gillard, but it was Rudd’s policy. A policy that rested on the value that he gained as a bright and committed child from his school library. New article over at Meanland http://meanland.com.au/blog/post/the-incalculable-cultural-significance-of-the-library/ entitled: The incalculable cultural significance of The Library, not a title one could possibly disagree with. The article talks of the traditional physical use of libraries and the, what may seem conflicting, need to serve the offsite reader with digitised content (using natch an NLA example). I think most librarians agree that we need to continue to retain the Library as Place, as well as recognise that the majority of our users will now be online. It should be understood however that one has not replaced the other, the traditional user has not generally gone online only, the online user is in fact part of a vast and growing new usership. Librarian’s roles may change and expand, so that we may serve both onsite and offsite readers. But, the actual physical public library will continue to serve a purpose that cannot be fulfilled with any amount of digitised or born digital content – as (mentioned in the quote somewhat) it is the single remaining indoor place where it is possible for the public to congregate without needing to purchase or pray. As such, it should be the hub of every community as well as the local resource centre. There will also, obviously, be the need to continue to have a building to house the digitised contents. For files and servers don’t actually repose in the clouds (well some do but they are owned by Google).